The Galileo Digital Curriculum Platform supports the integration of instruction with assessment to promote learning. With the curriculum platform, school districts and charter schools can easily integrate existing curriculum content, develop new curriculum content, and modify curriculums as needed. Once curriculum information has been entered into the platform, school and classroom level users can quickly access the information in order to plan and implement curriculum, differentiated instruction, and assessment activities. 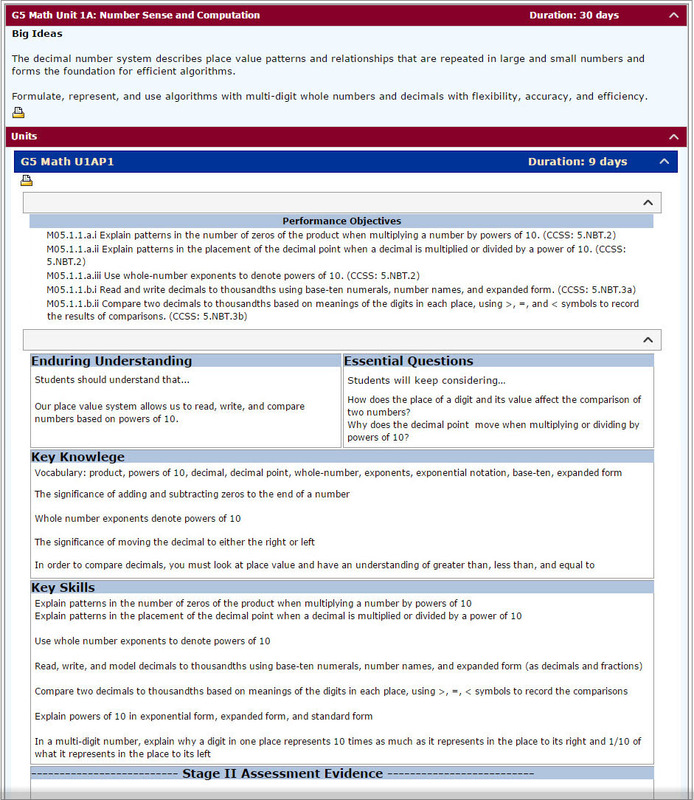 The Digital Curriculum Platform is comprised of two integrated components: 1) a series of online Instructional Units defining the scope and sequence of instruction and offering a variety of resources to guide instruction; and 2) within each Unit a series of online Instructional Dialogs enabling the development and delivery of instruction and assessment within each unit. 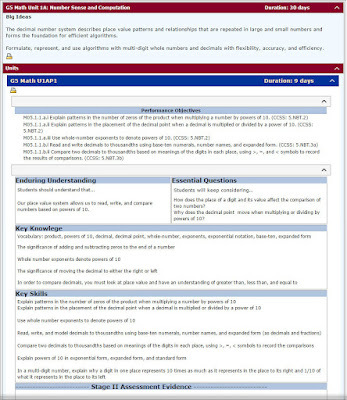 A series of Units can form the complete curriculum for a particular subject and grade. Curriculums built on the platform may include multimedia content, technology-enhanced lessons, assignments, assessments, and tools supporting online synchronous and asynchronous communication between students and teachers. A Galileo Unit contains standards to be addressed, instructional content, resources, and Instructional Dialogs. Click to view larger. Because the curriculum platform is fully integrated within Galileo K-12 Online, teachers, specialists and administrators have real-time, time-saving access to Galileo Dashboard reports displaying a continuous portrait of student growth and achievement. Moreover, parents and students have access to curriculum through the Galileo K-12 Online Student-Parent Center. The center is comprised of an array of features designed to increase student engagement in the learning process and provide parents with easy access to information on student learning, curriculum and resources. Contact our friendly and knowledgeable Field Services Coordinators to learn more.